One morning Parvati decided to go for a bath, and instructed her son to guard their home. She told him not to allow anyone to enter. Her son dutifully stood at the gate and watched over the home. It was then that Shiva returned from his journey. Naturally he didn’t recognize his son, because he’d been created in Shiva’s absence. When the boy refused to allow him to enter, Shiva severed the boy’s head. 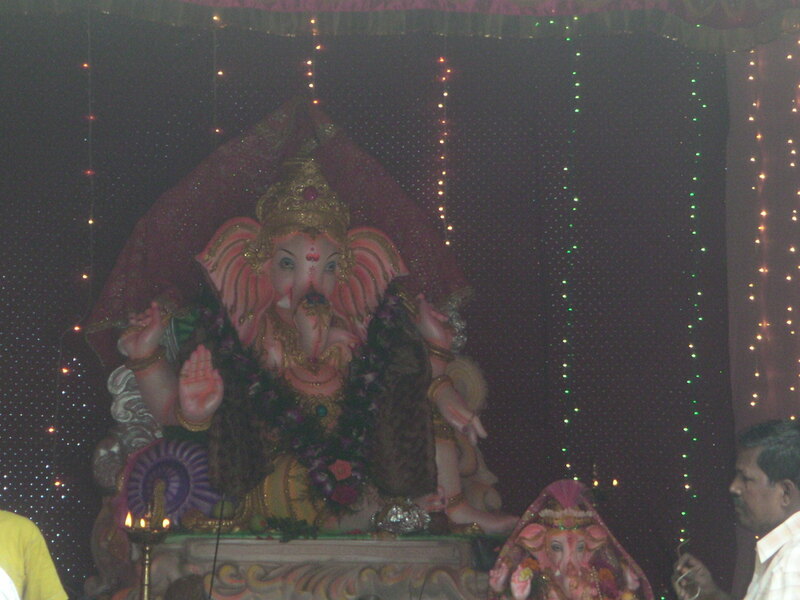 Early September marks the celebration of Ganesh Chaturthi, the birthday of Ganesh. 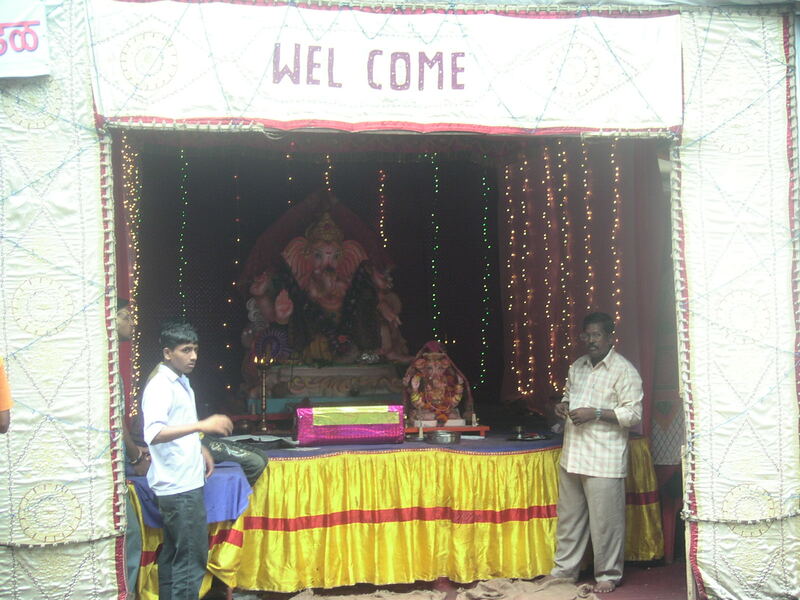 Many Hindus bring a statue of Ganesh (Ganpati) into their homes, a symbol of welcoming good fortune and wisdom. Families perform daily pujas and welcome guests who come to acknowledge the presence of the god at home. The puja period may last longer than a week, at the end of which the family releases the god by submerging the statue in the sea. Many communities perform the puja and immersion in public spaces.